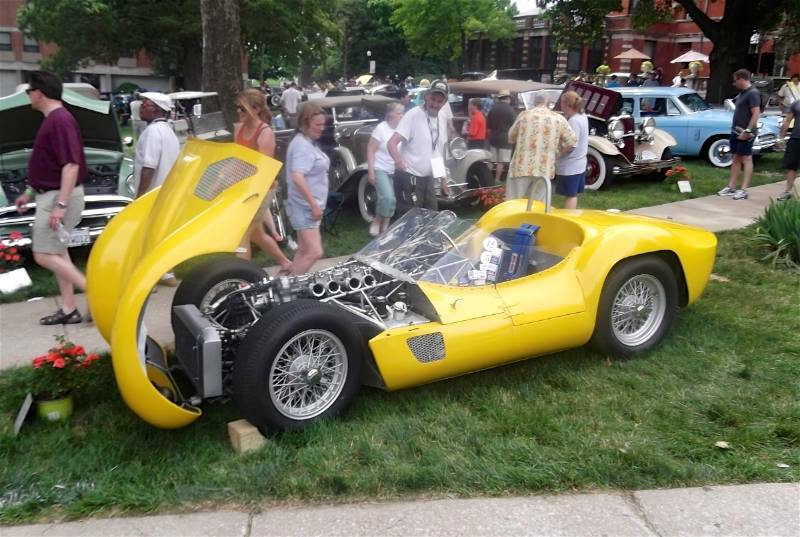 The Kansas City Art of the Car Concours was held June 21-23, 2013 at the Kansas City Art Institute in Missouri. 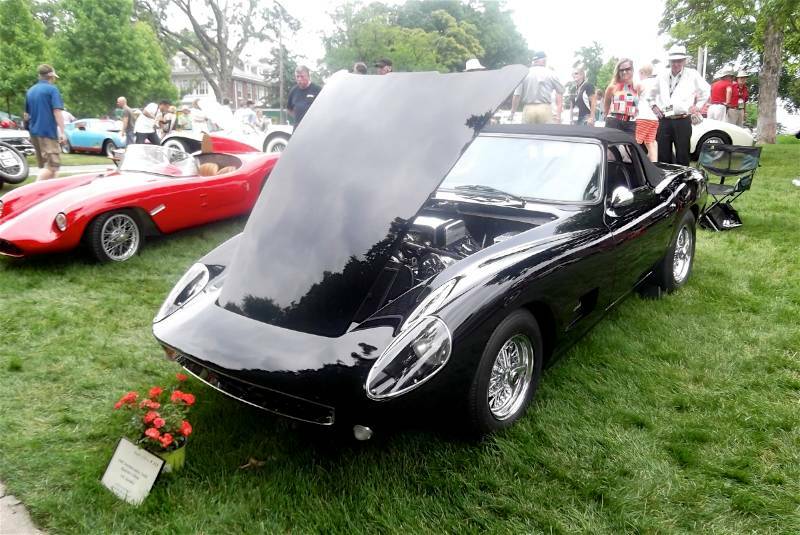 The seventh annual Art of the Car Concours welcomed racing great Sir Stirling Moss as well as famed auto historian and accomplished driver Denise McCluggage as the guests of honor. 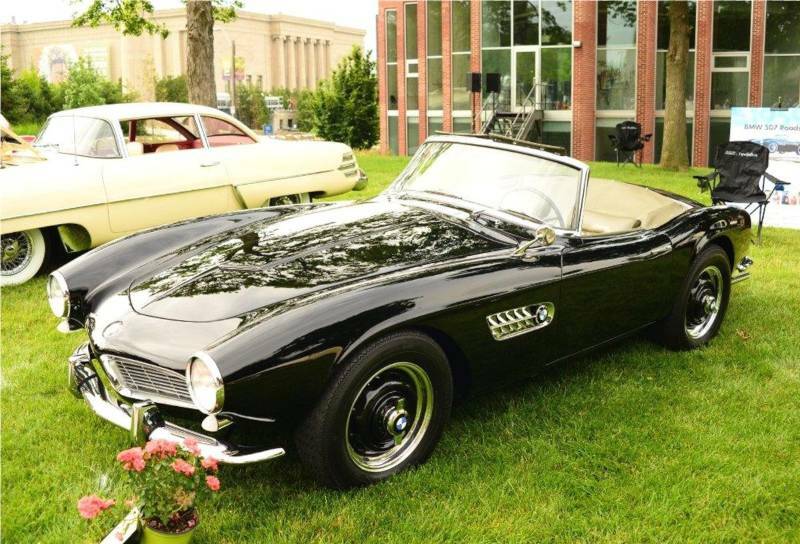 The Art of the Car Concours has quickly become a notable Concours event in the Midwest, and with good reason. 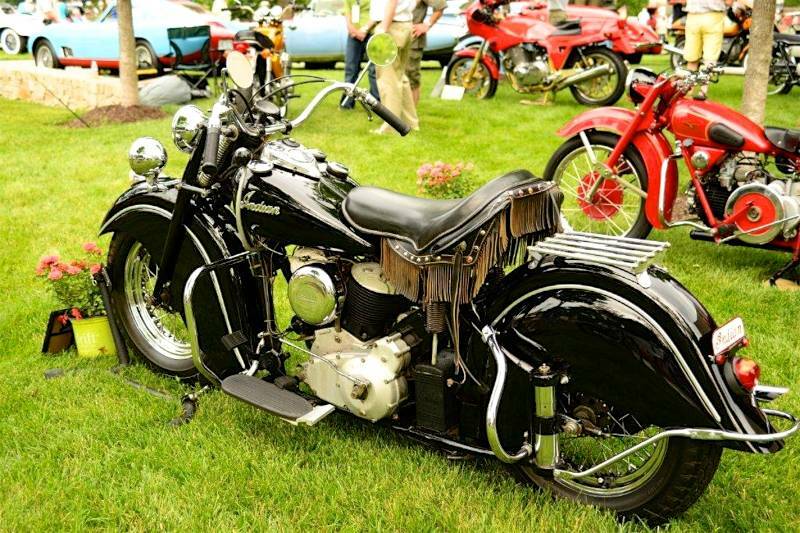 Founder Marshall Miller and his large group of friends and volunteers are going above and beyond to make this a highlight event in a region of the country that has been lacking in these increasingly popular top-end events. 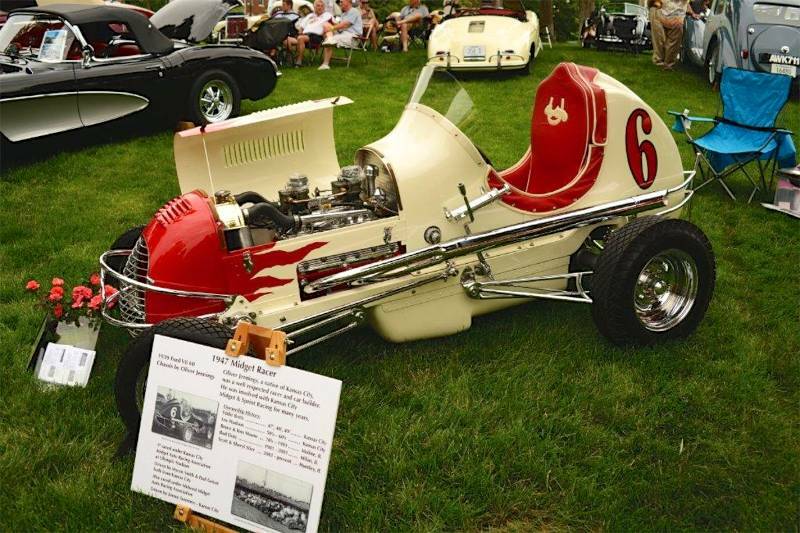 During the 1950s and 1960s, the Midwest was a hotbed of American road racing, and in fact produced some of the top drivers of the day, including Masten Gregory, a Kansas City native who was also honored during last weekend’s event. 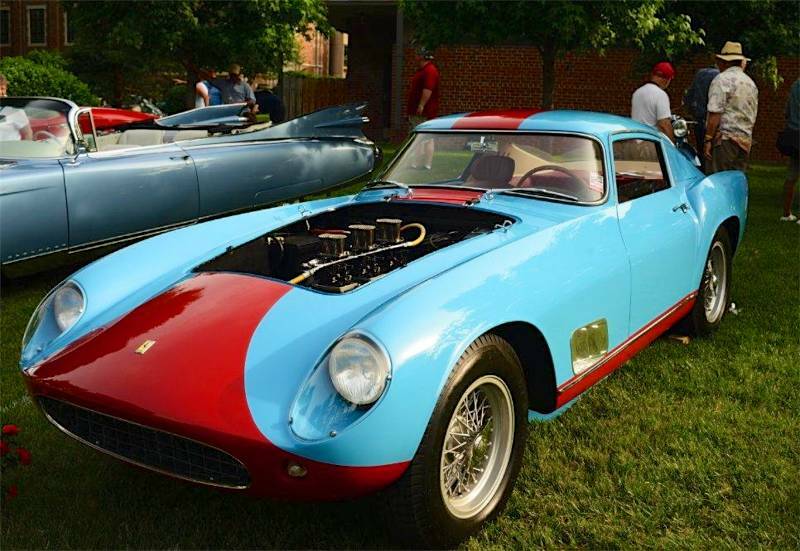 Masten’s older brother Ridelle was on hand to share stories and insight on the famous spectacled driver, nicknamed the “Kansas City Flash”, who helped Ferrari to their last ever win at Le Mans in 1965. To celebrate Gregory’s career and that incredible achievement, the Indianapolis Motor Speedway sent that very car, a bright red 250 LM. The first event of the weekend on Friday morning, June 22, was a wonderful Moss/McCluggage interview on the local public radio station, KCUR. A recording of the interview can be heard here, and it is well worth a listen. Then, during the afternoon at the newly completed road course at Kansas Speedway, Sir Stirling and Denise attended a media-only photo-op with some vintage racers. 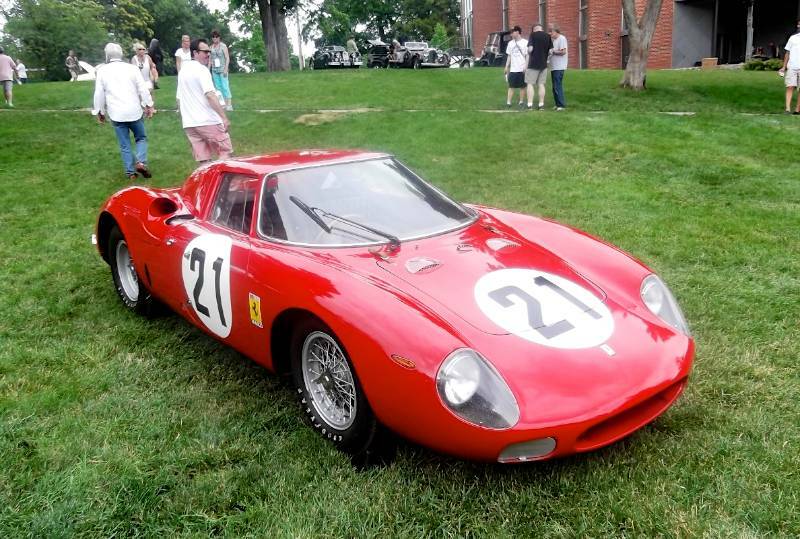 The 1965 Ferrari 250 LM, a 1960 Maserati Tipo T61 ‘Birdcage’, a 1964 Selby 289 Ford Cobra, a 1934 MG PA and more were presented and then duly driven on the road course. 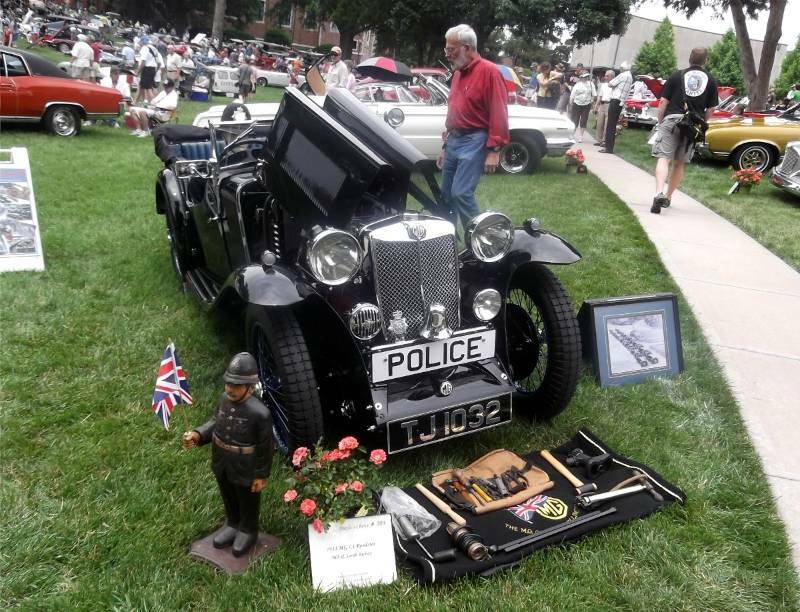 Saturday morning’s events, including a breakfast for exhibitors and sponsors, were held at Kansas City’s famous Country Club Plaza at Tivol Jewlers, where 12 cars from the show were previewed free to the public. 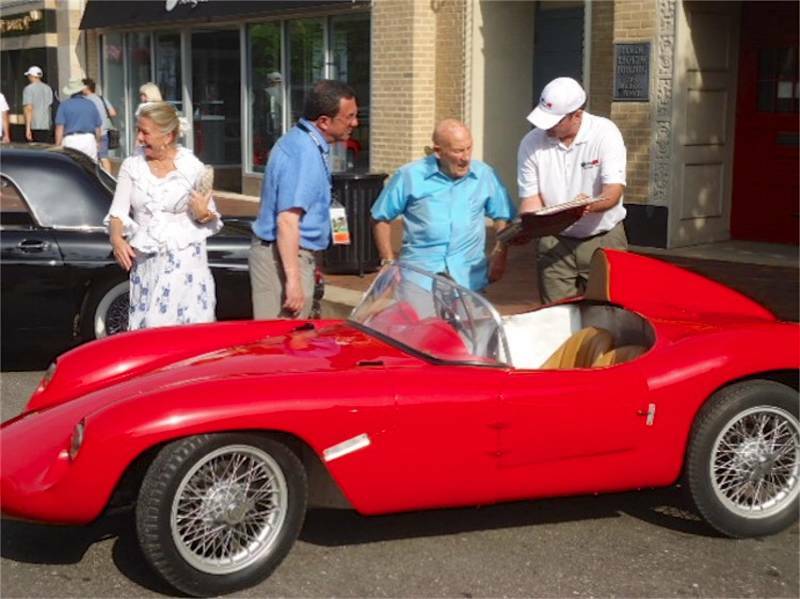 A clear highlight was when Sir Stirling Moss came over to each of the owners to talk about their cars. 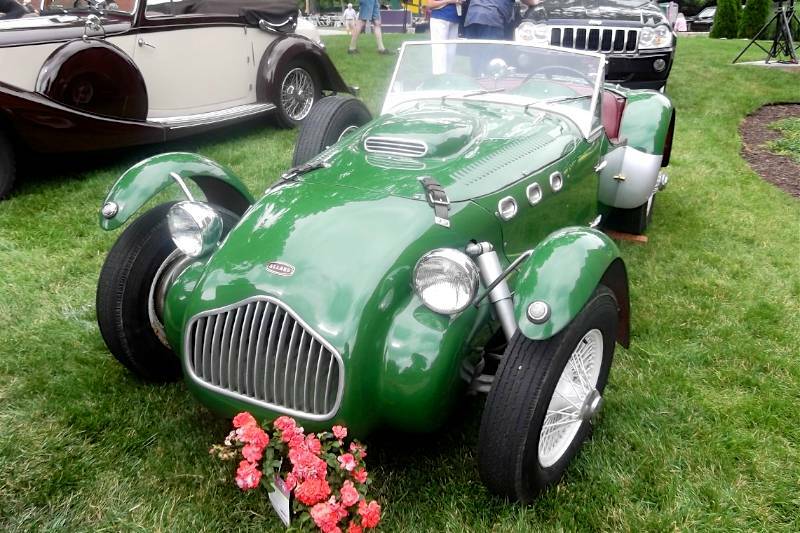 On a personal note I brought my newly restored 1951 Bandini Crosley Devin to the Concours and was a last-minute addition to the Saturday morning show on the Plaza. 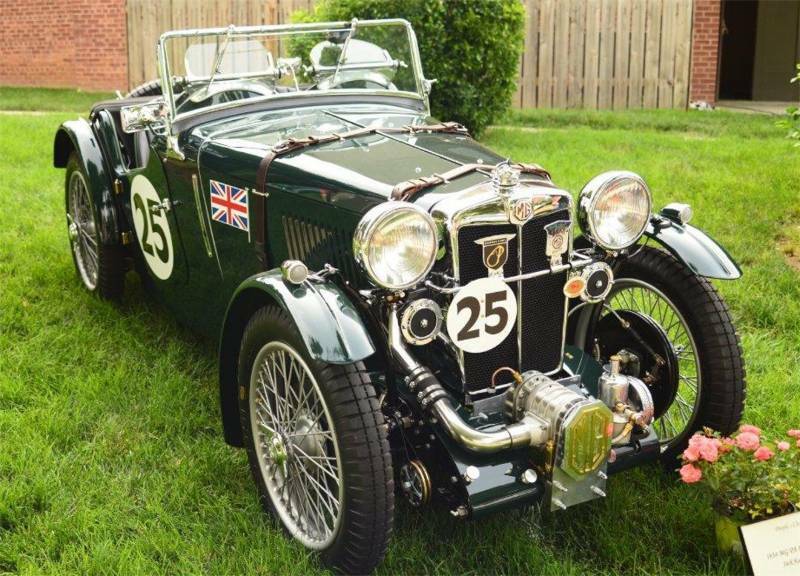 To my great delight I was able to meet Lady and Sir Moss and show them my car and the 1952 Sebring program which is part of its racing history. It turns out there is a picture of Stirling in the program which shows him as a 20-year-old up and comer with a full head of hair. They both got a kick out of that! 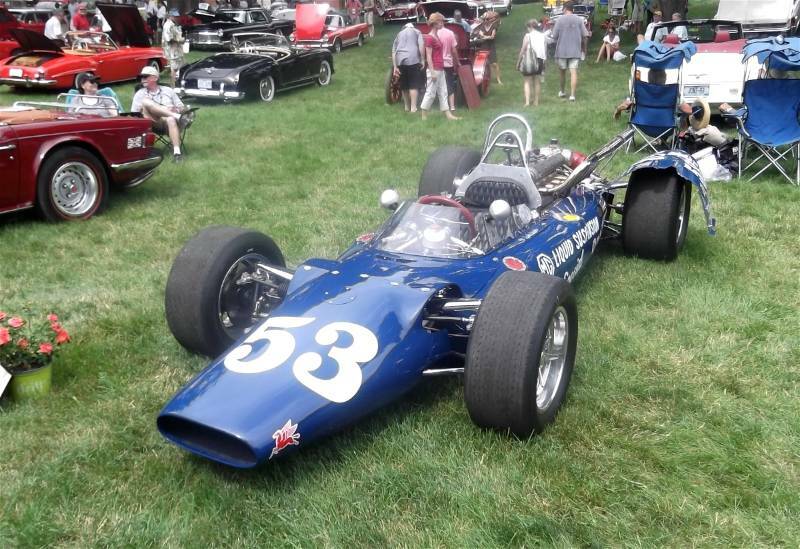 This event was followed by the “Meet the Legends” event Saturday afternoon, hosted by Michael T. Lynch and Tom Strongman, where Stirling, Denise and Ridelle reminisced about some of their auto racing exploits and memories from the old days and then took questions from the 300 plus audience members. A video of this very informative and entertaining two-hour session will be available for purchase on the KCAI website at a later date. Finally, an exhibitor’s reception rounded out Saturday evening and was greatly enjoyed by all. 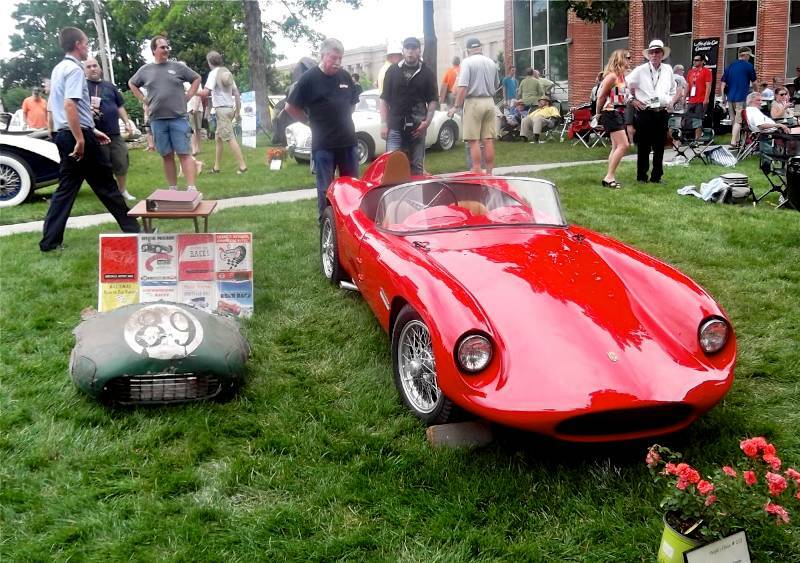 The main attraction, the Art of the Car Concours on Sunday, was situated on a grassy and shady area of the Kansas City Art Institute campus and hosted an eclectic array of nearly 200 collector cars, trucks, motorcycles and pedal cars from 12 states and 74 cities. 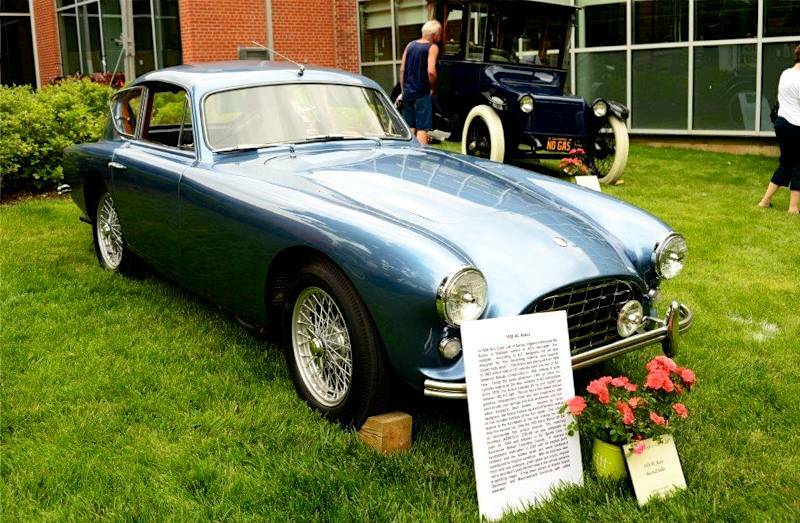 There was no formal judging of the cars and indeed not even any classes, which ensured a stress-free day for the entrants and an overall more relaxed atmosphere for everyone involved. 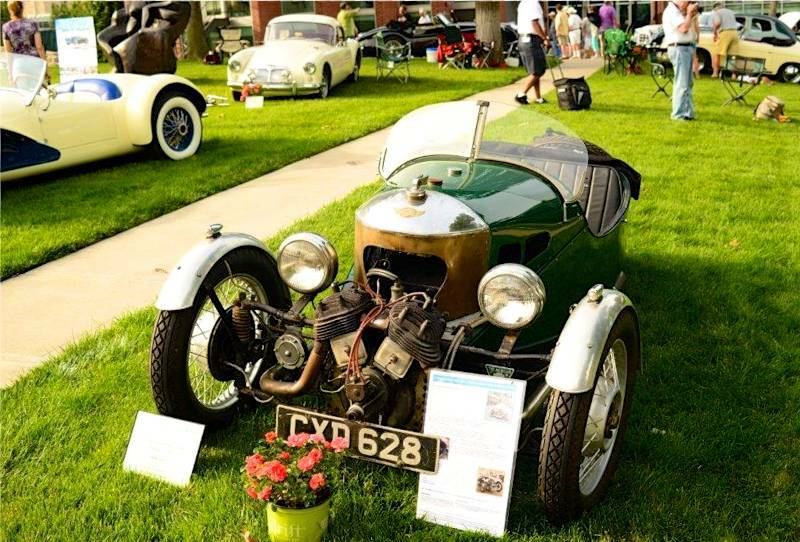 Again, Sir Stirling provided another noteworthy moment as he was shown a 1934 Morgan Trike CXD 628 Matchless that his father, who had raced at Brooklands and in the Indianapolis 500, gave him when he was 15 years old and kept until he was 17. The grin on Moss’s face was priceless. 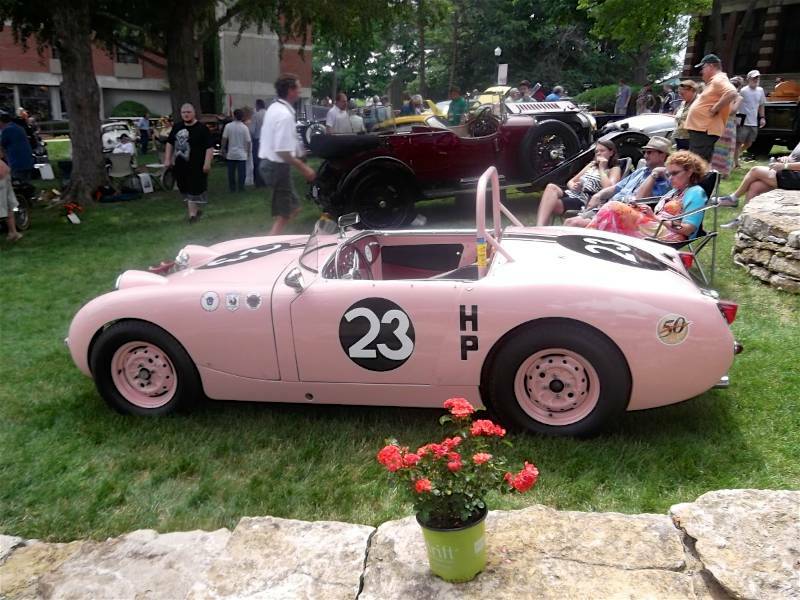 As Sunday then rounded to a close there were 42 awards given out, mostly by the Kansas City Art Institute students, graduates and sponsors, and so concluded the successful running of events at this, the 2013 Kansas City Art of the Car Concours. The photos are by Mark McDonald. 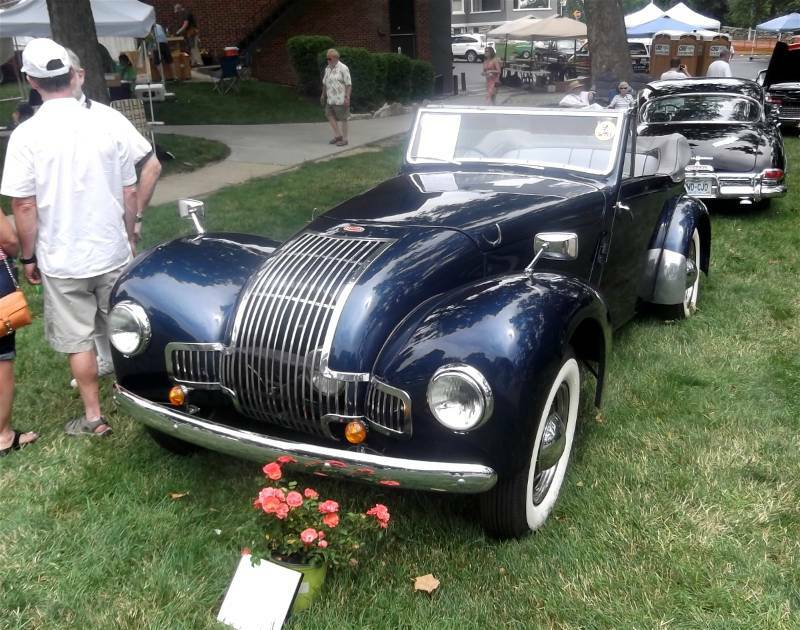 Thanks Brian (or Mark) for the photo of my Allard. Actually it’s an M1 2 door, 4 passenger Drophead Coupe.